Ask me any of your questions about online marketing or how to start an Internet business. I’ll be happy to help. If you tune into the broadcast… stop back by here and leave me a comment. Let me know how you liked it. 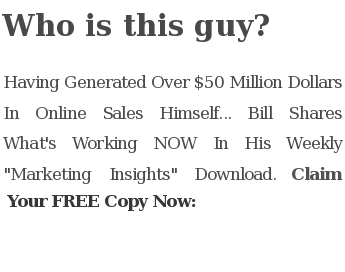 This entry was posted in Bill's Schedule and tagged internet marketing, live broadcast, marketing advice, marketing help, marketing show, marketing tips, Online Marketing, online marketing tips, ustream, web show by Bill McIntosh. Bookmark the permalink.